I have a personal account on Discogs where I keep a good part of my wish list. Please forward your Discogs page if you have one as well so I can quickly check if you have something I might need. Due to limited time I am not that good at finding records for other people but sometimes I happen to get nice tradelists from colleagues. If there is a record you have been looking for and couldn’t find even today despite all the tools we have, try to drop a line, I keep a small notebook where I wrote down other people’s wishlists. Al momento non accettiamo mancoliste. Un tempo lo facevamo ma allo stato attuale dell’attività per via dei contatti ridotti e del fatto che non ci muoviamo molto spesso sarebbe impossibile garantire un servizio accettabile. Quando sarà nuovamente possibile ve lo faremo sapere attraverso il blog o la newsletter. As a (kinda) record collector myself, I do trades. I will update this list with items I might consider trading using the classic 1 to 3 bullet rating. I also have some deadstocks in storage I might consider trading as well as sell in lots for very cheap. Items are rated based on a 1 to 3 bullet rating, you can only trade items rated 1 with items rated 1, but you can trade items rated 2 with items rated 1 or 2. Items rated 1 bullet are common, 2 bullets means hard to find records or items from major bands that have very good sale potential. Items rated 3 bullets are rarities like testpresses, extremely rare records and so on. Besides the bullet system, items are usually traded with the following ratio: 1 Lp = 2 Cds, 1 Cd = 1 tape, 1 7″ = 1 Cd (yeah). I will trade 12″ Lps only against other vinyl however as 1 Lp = 1 Lp, 3 MLp = 2 Lp, 1 Lp = 2 7″s. Trade system is not fixed – we can dicuss it on a case by case basis. It also depends on real costs of the albums traded and so on. 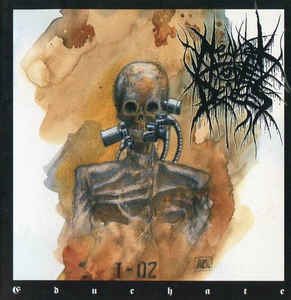 Due to mishandling I have some Neural Tube Defects Cds left for trade. Some are NM, some are Ex. All booklets are mint but some Cds have hairlines. I can trade 1:1 against tapes and 2 for 1 Cd.